One of my best friends moved away this summer, something that’s always bittersweet. I’m so thankful I know her and we were blessed to spend a lot of time together in the months before her move, which made it both harder and easier. I pulled out the voile quilt top that I pieced last year and decided it was the perfect thing to send with them to their new home. The vibrant colors of the fabrics are a good combination of both our styles and backing it with the IKEA nummer fabric seemed a good choice. I love the contrast and wish I wasn’t running out of that number fabric! 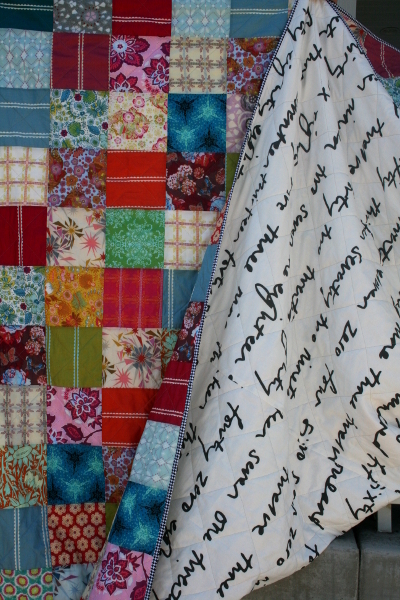 I have given away every quilt I’ve backed with it. 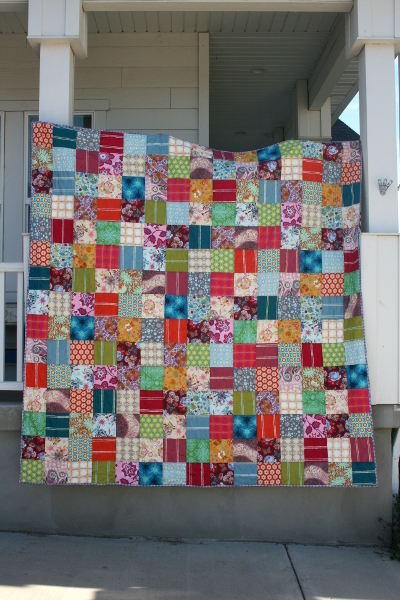 The quilt is a simple patchwork design, comprised of 6″ (finished) squares and measures 90″ square. 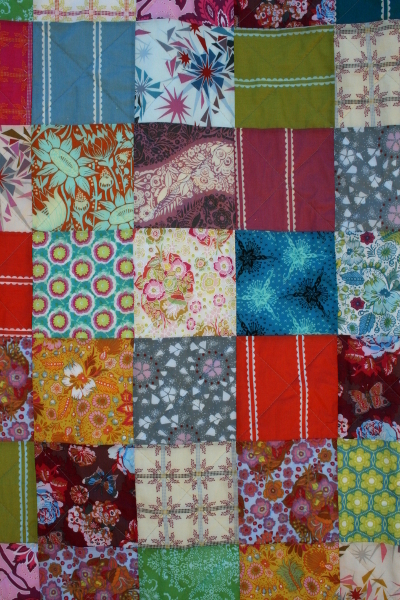 Much as I love awesome quilt designs, there is something about patchwork that always makes me smile. 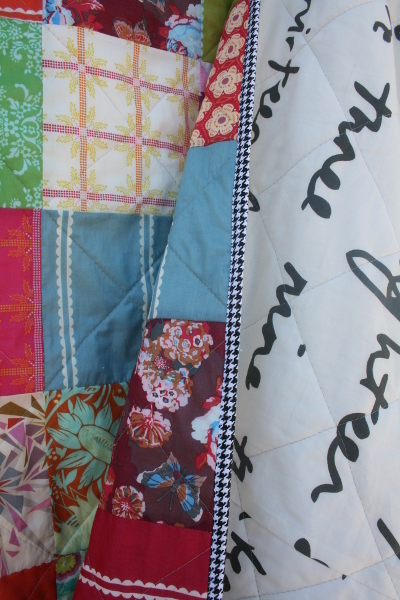 The best part of this quilt is the voile – such a soft, smooth hand and light weight. I quilted it myself in a simple cross hatch design on the diagonal through the center of each square and bound it in a black and white houndstooth print. It feels good to have finished something, and even better to have sent it on it’s way! It’s finish #5 for 2014. I think I may need to get out the rest of that voile fabric and make another.